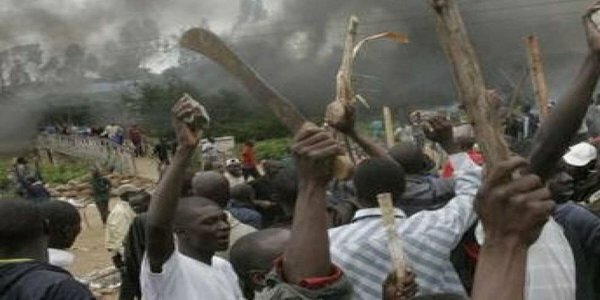 Hotoro, Nigeria : Residents of three villages in northeastern Nigeria took security into their own hands this week, repelling attacks by Boko Haram insurgents and killing more than 200 of them, residents and officials said. Hundreds of Boko Haram fighters stormed the villages of Menari, Tsangayari and Garawa in the ethnic Shuwa-dominated Kalabalge District . Boko Haram — the group responsible for the kidnapping of nearly 300 schoolgirls from the same region — was met with stiff resistance as locals put up a fierce fight, witnesses said. A month has passed since the girls were kidnapped, and the Nigerian government has been accused of not acting swiftly or efficiently enough to protect villages in the region threatened by Boko Haram.In the three villages attacked Tuesday, gunmen arrived in dozens of all-terrain vans, armored tanks and motorcycles, but villagers quickly mobilized and engaged the attackers in a prolonged battle. “They attacked Menari and killed around 60 people and burned some homes before proceeding to Tsangayari and Garawa villages,” resident Algoni Ahunna said.When news of the attack filtered out, people trooped out from nearby villages carrying arms. Locals seized an armored tank, three all-terrain vans and 90 motorcycles from the attackers, residents said. “At Tsangayari and Garawa, they met a big surprise as residents engaged them in a fierce battle in which over 200 of the Boko Haram fighters were killed. More than 150 were killed in Tsangayari,” Ahunna said. A lawmaker in Borno state’s Parliament confirmed the incident.”I received information on the gallant action taken by the people in Kalabalge District in which at least 200 Boko Haram gunmen were killed,” said the lawmaker, who asked not to be named for security reasons.A relief worker in the area said he counted more than 100 bodies in Tsangayari alone. 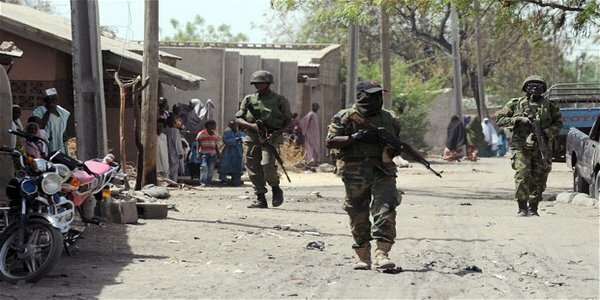 “I believe the number of the gunmen killed is up to 250,” said the worker, who also asked not to be named for fear of reprisals from Boko Haram.It was the second defeat Boko Haram has suffered from locals in the area in over a month.Scores of Boko Haram gunmen were killed by villagers in early April in a foiled raid, residents said. 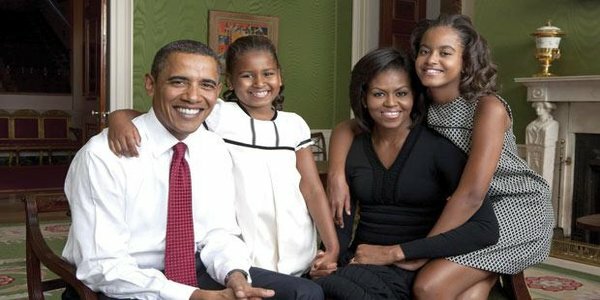 Is Daughter’s kidnap attempt is a threaten to Obama ?